We are a diverse team dedicated to improving the livelihoods of children and their families through personalized therapy programs. We take care in explaining to families their child's needs and sharing therapy techniques to take home to help make parenting a little bit easier. We guide your family through a process of building your child's life skills for daily living. Amy holds her Certificate of Clinical Competence from the American Speech-Language-Hearing Association, as well as a license from the Texas State Board of Speech-Language Pathologists and Audiologists. Amy is a Certified Autism Specialist with over 14 years experience. She has an extensive background in evaluating and treating children with Autism Spectrum Disorders and patients requiring augmentative communication devices, and she also has advanced knowledge of American Sign Language. Amy received extensive training on administering the Autism Diagnostic Observation Schedule (ADOS-2) and is able to assist pediatricians and neurologists in identifying Autism Spectrum Disorders. 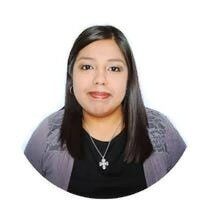 Born and raised in Texas, Amy received her Bachelor of Science in Communication Sciences and Disorders from the University of Texas at Austin in 2003 and her Master of Science in Speech-Language Pathology from the University of Texas at El Paso in 2005. She has experience working with people of all ages and in a variety of settings, including home health, public schools, hospitals, inpatient and private outpatient clinics. Her scope of practice covers Asperger Syndrome, Autism Spectrum Disorder, Pervasive Developmental Disorder, Fluency Disorders, Language Impairments, Hearing Impairments, Apraxia of Speech or Oral, Aphasia, Cleft Lip/Palate, Articulation and Phonological Disorders, Down Syndrome, Non-verbal communication impairments, as well as a multitude of other diagnoses. Amy’s professional interests include Autism Spectrum Disorders, Picture Exchange Communication System, Narrative Language, Oral Motor Development, Treatment of Hypernasality in Children with Down Syndrome, Resonance Disorders & Velopharyngeal Dysfunction, and Dysphagia Management. Amy wholeheartedly believes in and supports the concept of Neurodiversity. We are all born different. These differences don't make us any better or worse than the person next to us. This includes our differences in our neurological systems. She believes every individual that visits with us deserves equality, respect, and their own voice. That "voice" may be in action form, gestures, sign language, verbal output, alternative communication methods, total communication methods, or via augmentative communication. Acknowledgement and honoring an individual's communication method is vital to establishing a mutually respectful relationship and accomplishing the most optimal outcomes of therapy. Emily received her Bachelor of Science in Secondary Education from Walsh University. She then went on to receive her Master of Arts in History and Government from Ashland University and a Master of Science in Occupational Therapy from Cleveland State University. In 2016 she and her family moved to the Lone Star State. She is licensed to practice as an Occupational Therapist in the state of Texas. Emily joins us with a passion for making a difference in the world and forever learning. Professional interests and exposure include; infants, Autism Spectrum Disorder, Sensory Integration Disorder (SPD), Cerebral Palsy, Dysgraphia, and Vision Processing. In her free time she enjoys spending time with her family, dancing, gardening, and wrapping gifts.